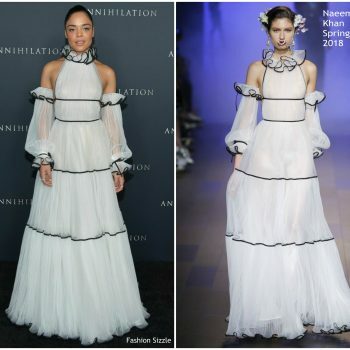 Sarah Hyland wore a strapless Naeem Khan Spring 2018 confetti dress to EW's 2018 Pre-Emmy Party. 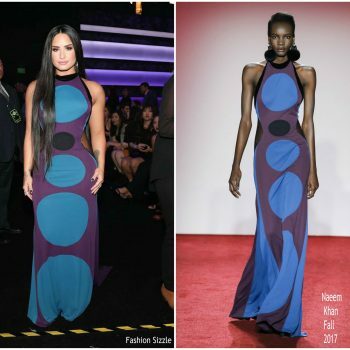 Padma Lakshmi was in attendance at the 2018 Vanity Fair Oscar Party She wore a Naeem Khan Spring 2018 bicolor panel gown. 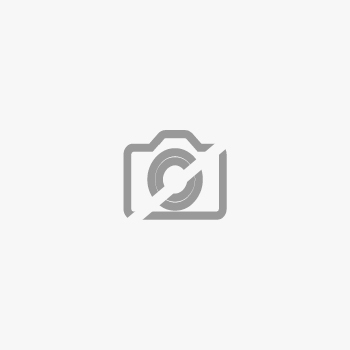 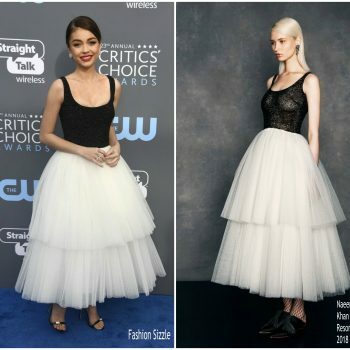 Sarah Hyland was in attendance at the 2018 Critics' Choice Awards. 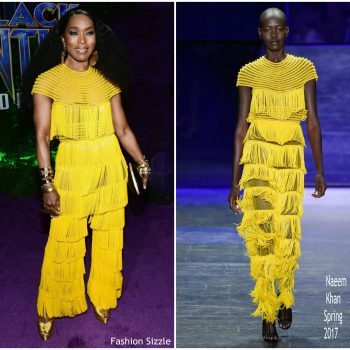 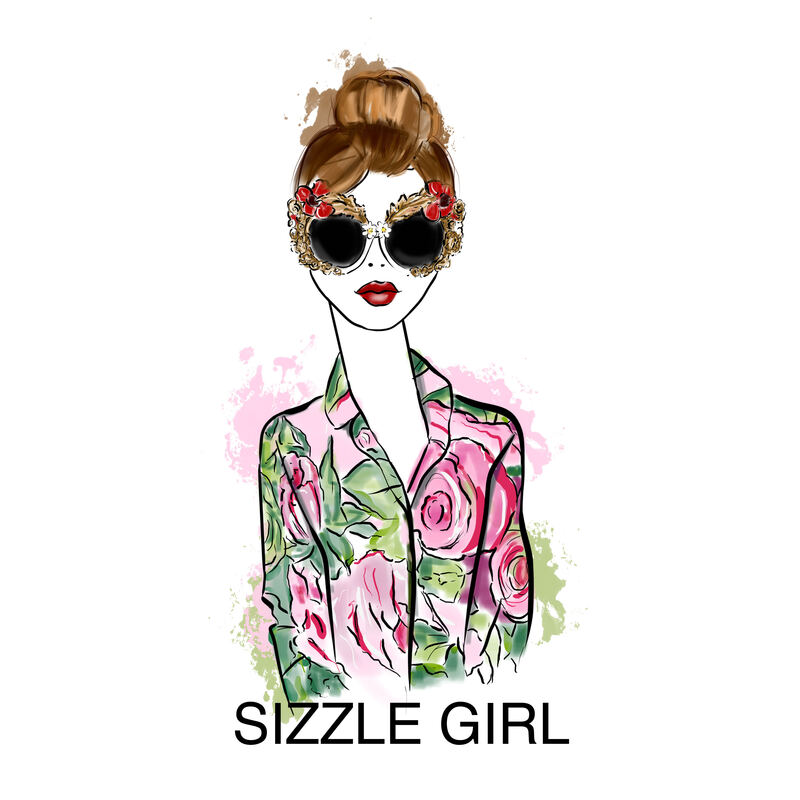 She wore a Naeem Khan Resort 2018 tea length dress.​ She styled her look her look with a pair of Giuseppe Zanotti sandals. 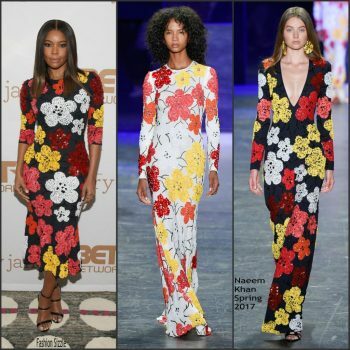 Gina Rodriguez was in attendance at the 2017 Emmy Awards on Sunday (September 17) in LA. 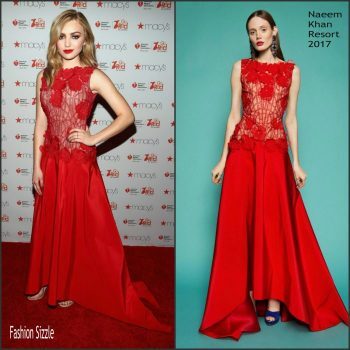 She wore a red Naeem Khan Pre-Fall 2017 gown. 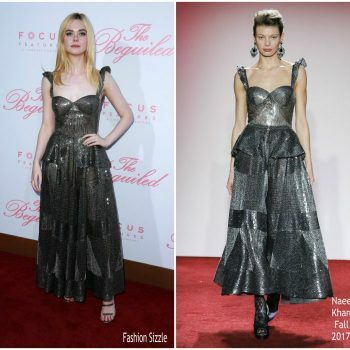 Elle Fanning was in attendance at the premiere of her new movie, ‘The Beguiled’, in LA on Monday (June 12), joining co-stars Nicole Kidman and Kirsten Dunst. 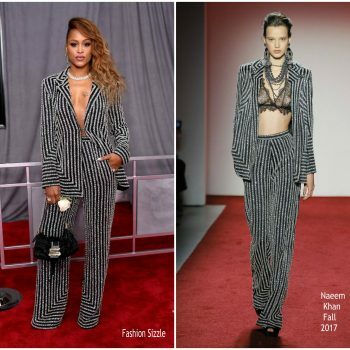 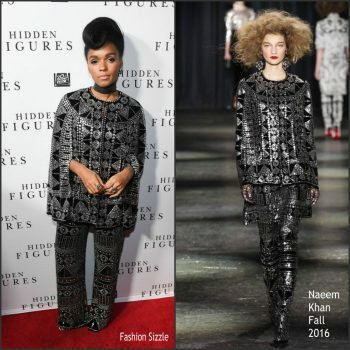 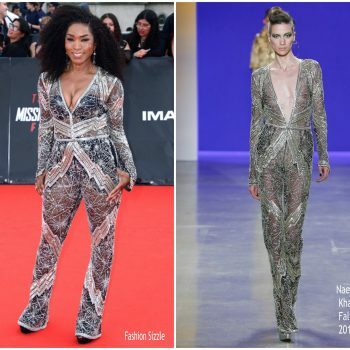 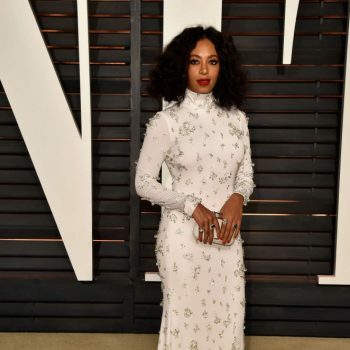 She wore a silver Naeem Khan Fall 2017 dress. 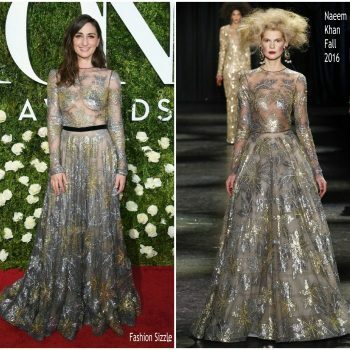 Sara Bareilles attended the 2017 Tony Awards at Radio City Music Hall on Sunday (June 11) in New York City. 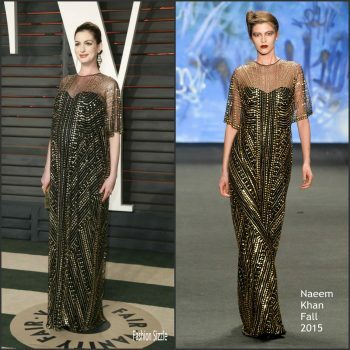 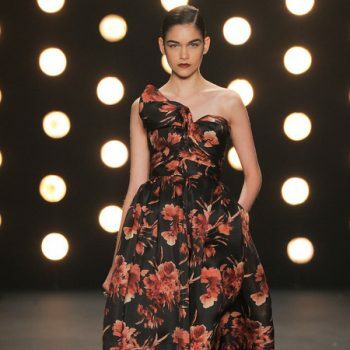 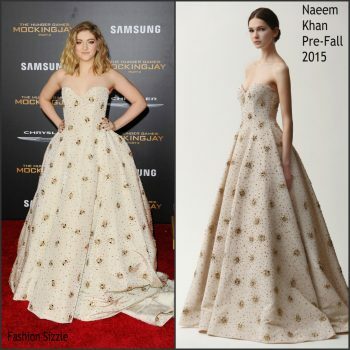 She wore a Naeem Khan Fall 2016 gown. 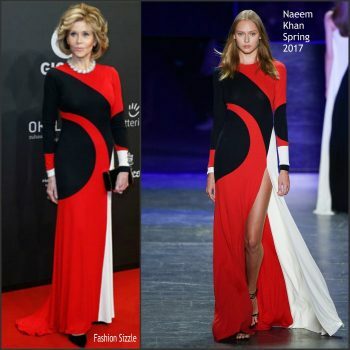 Jane Fonda was in attendance at the Goldene Kamera 2017 on Saturday (March 4) in Hamburg, Germany. 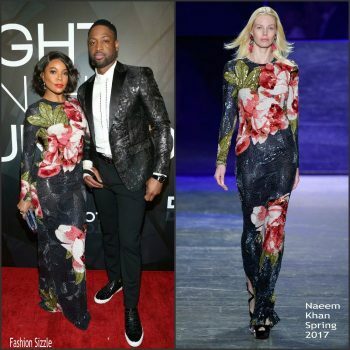 She wore red and black Naeem Khan Spring 2017 dress, styled with a Hayward clutch . 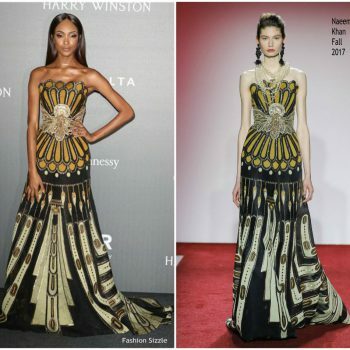 Gina Rodriguez was in attendance at the 2017 Golden Globes on January 8, 2017, at The Beverly Hilton in Beverly Hills, California. 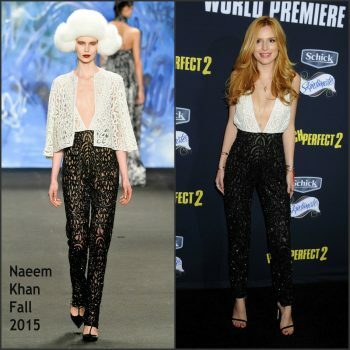 She wore a white beaded fringe Naeem Khan gown. 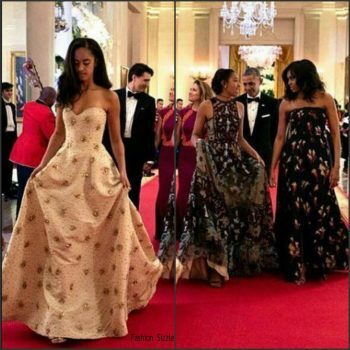 U.S. first lady Michelle Obama and U.S. President Barack Obama arrive for a state dinner at the Palace of the Revolution March 21, 2016 in Havana, Cuba. 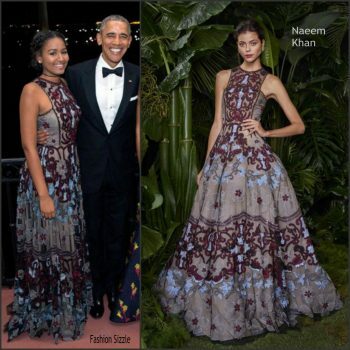 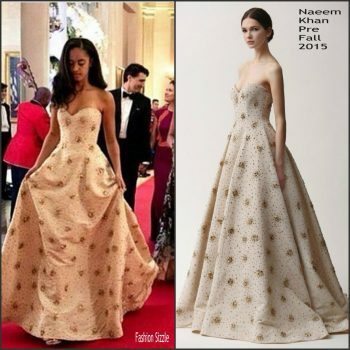 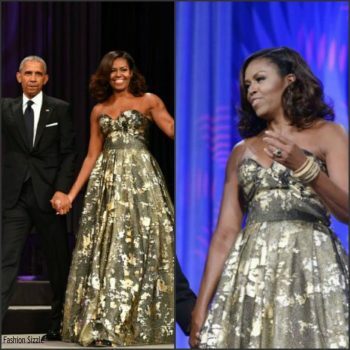 This is the first time a sitting U.S.
President Barack Obama and wife First Lady Michelle Obama were in attendance at Black Caucus Awards Dinner 2016 ... Black Caucus Foundation Annual Phoenix Awards dinner in Washington, DC, She wore a strapless Naeem Khan gown. 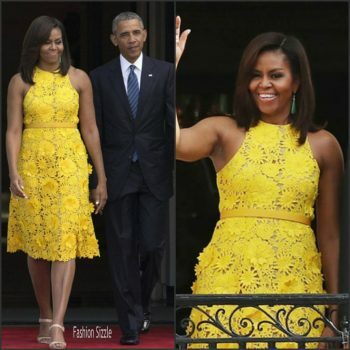 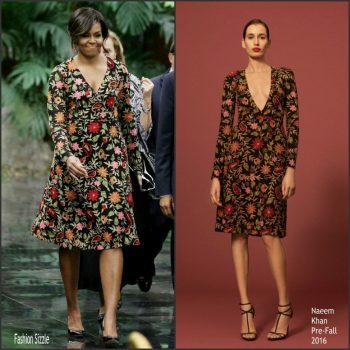 First Lady Michelle Obama wore a lacy, sleeveless yellow floral dress by Naeem Khan, the Indian-American designer who is one of her favorites, to tour the National Gallery of Art with Ho Ching. 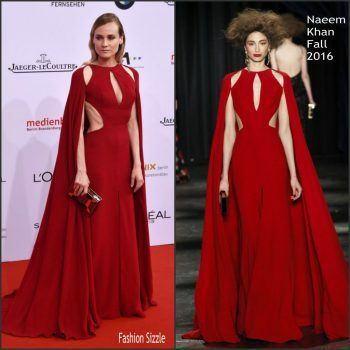 Diane Kruger attends the Lola - German Film Award 2016 (Deutscher Filmpreis) on May 27, 2016 in Berlin, Germany. 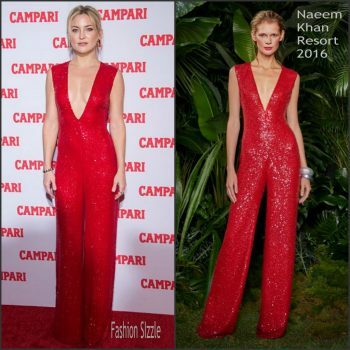 Hannah Davis attended the Sports Illustrated Swimsuit 2016 Press Event in New York City 2/16/2016 wore a gold sequined v-neck #NaeemKhan gown with a high slit to the #SISwim NYC launch.